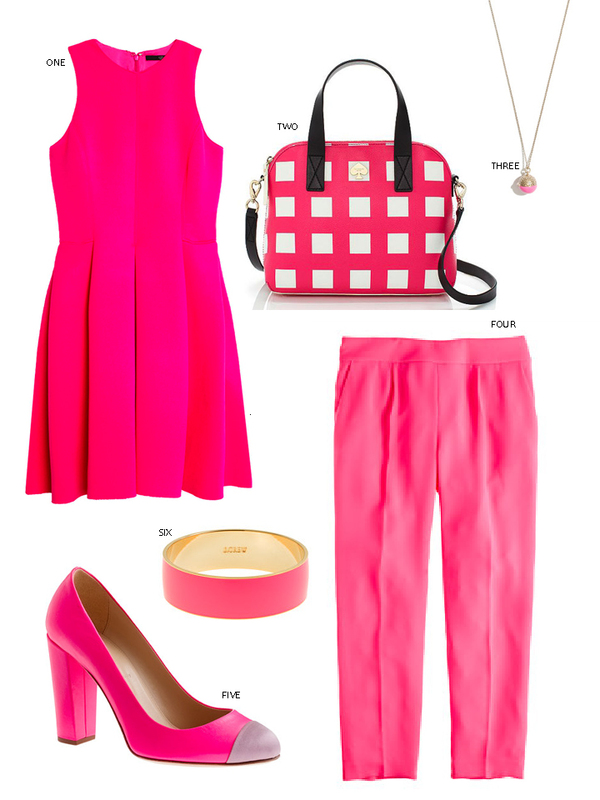 What true girly girl doesn't love a pop of pink in the spring? It is my go to color year round, but especially in the warmer months. I like to pair it with white for a crisp look or add black to town it down a bit. However you chose to style it, you are sure to stand out. That pink dress is so gorgeous! Nothing beats a bright pop of pink in spring! Love all of your picks! Thanks! I love all of your outfits so that means so much!